When cart abandonment rates are hitting as high as 80%, online retailers are continually looking for ways to optimize their store and maximize conversions. Be it getting their online store visitors to subscribe to the newsletter, opt-in for push notifications or make a purchase, everyone’s end goal is to trigger an interaction in the first visit. But why is it that despite the continual optimization of product and checkout pages, most online stores seem to be losing a significant chunk of their customers – the number increases year after year? Because while they know that different customers walk into brick and mortar stores with different expectations, preferences and purchase behavior, they are not able to map the same psychology in the digital landscape. So we decided to analyze the most common types of online shoppers that your store is and has been getting all this while. These are the most common type of online shoppers. You can safely assume that 70% of your site’s shoppers are looking for better deals, discounts or cash back offers on a purchase they want to make. These are people who value the dollar more and would sift through tens of sites to be able to get a substantial discount. Because simply put, thousands of other sites across the world are offering deals too – some better than yours. And the moment the feeling of them bagging a good discount on another site kicks in, these shoppers abandon your store. To make things worse, these shoppers have their browsers infected with malicious extensions that behave as price comparison tools. This further feeds to the price-sensitive nature of the online shoppers. Identify your price-sensitive shoppers by tracking their on-site behavior. For example, take a look at what they do after adding products to their cart. Did they leave your site at least once and then come back to it to try a coupon they found? This is your cue to be the first one to offer them a coupon before they even make the first exit. Remember how you shop from some stores not because of the products or offers they have, but the experience they offer? Yes, there are a lot of other online shoppers who prefer to experience shopping more than anything else. They don’t want to feel like just another customer on your site and seek for a personalized, frictionless experience. According to CMO, 73% of consumers are willing to pay more for a better on-site experience. Because the slightest little friction between them and the product they want to purchase can make or break your sale. This includes things like the load time of your product pages, product discoverability, and even how quickly they can find the ongoing deals on the products they like. For instance, if they add a few products to their cart and have to go to another site to only come back with an invalid coupon, the customer is as good as lost. The frustration of not being able to first find an active deal on your site itself and second, not get one on any other as well, ruins their overall shopping experience and results in cart abandonment. Apart from optimizing your whole site for a seamless shopping experience, track this shopper’s on-site behavior. If you notice this shopper moving to and from your site, there is a high chance they are either looking for similar products on another site or discount coupons on the search engine. Predict their behavior, and engage them with targeted promotions on time. These are shoppers who want to buy something ‘right away.’ It could be a purchase they make based on trends or simply based on their current needs. They usually reach online stores through a quick Google search (a whopping 36% of them) and convert as quickly on the first store that offers them a great experience. But that also means that if your site is slow, or they’re not able to find a good discount easily, you’ll end up losing this customer. These shoppers are all about how quickly they can make the purchase. If they feel that they can’t find the coupon the search engine said was on your site, or realize that they will need to complete an additional step to purchase a product like signing up and creating an exhaustive profile on your store, they’d rather skip. No other way to bag these customers than offering a frictionless shopping experience. Optimize your checkout process, make deals easily visible to them, provide plenty of payment and shipping options. Don’t leave room for them to feel you wouldn’t be able to deliver this order to them when they need it the most. Each one of us has at least one friend in the group who is an impulsive buyer. No matter what the product does or how different it is from the one they own, these shoppers want to remain in the now. So they’re always looking for the latest or the newest product in any category. They are also those who don’t mind switching from one product to another, as long as they get to brag about owning the latest product. You see them commonly in fashion, beauty and technology industries. The biggest problem with these shoppers is that they’re always on the lookout for what’s new in the market. They want to be the first ones to own a product that is popular in their circles. That’s why these shoppers will buy from any store that offers them the first deal and makes it easy for them to complete the purchase. So if they can’t find either of the two on your site, you can bid bye-bye to the sale. The only way to convert them is to be the first to reach out to them and let them know you’re selling the product they’re interested in. To sweeten the deal, add a discount! But make sure you reach out to them on all possible channels – social media, ads, email, on-site notifications, etc. This is the kind of shopper who wants to make an informed purchase – no matter how big or small it is. They research extensively across the web, compare products on multiple sites and don’t want to end up making even the smallest of mistakes that result in a return or exchange request. 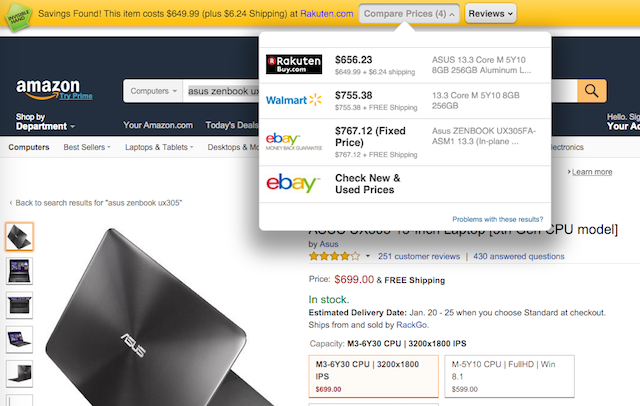 These shoppers tend to have various browser extensions installed on their browser to make quick comparisons. After all, who likes being hassled right? Since these shoppers are all about research, one of their biggest distractions are comparison sites. It is in their nature to search for a ‘versus’ article, look for reviews and ratings, and sift through all the other available options in the market. During this process, they might lose interest in the product altogether or end up discovering a similar product on a competitor brand’s site. These are shoppers that want to know about the products before they purchase them. So help them identify their needs better and understand why and how what you’re offering is the best they can get. For instance, if you see them hesitant in completing the purchase, target them with on-site help using an engagement window or a live chat. 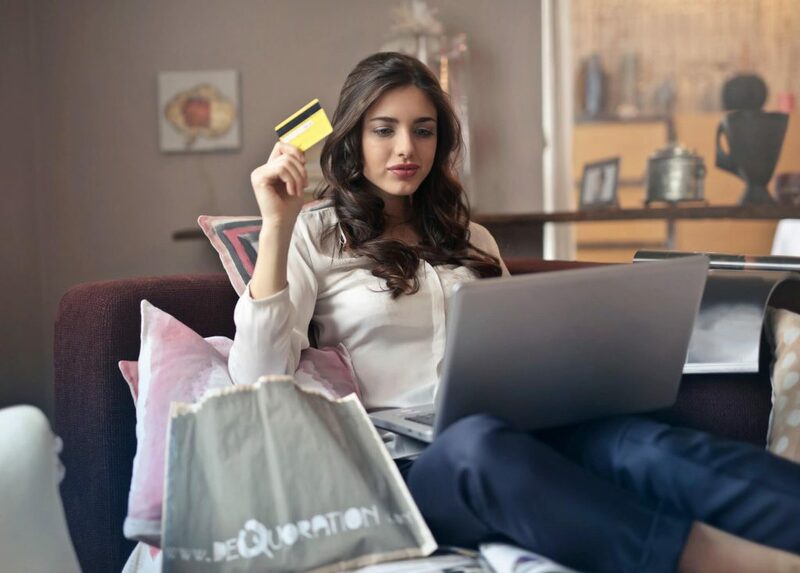 Each of the shoppers has distinct characteristics, but there are a few things common amongst them all – being able to get the best product at the best deal and the endless distractions around them. While some online shoppers are distracted by all the deals available to them on other sites, there are others that are continually looking into chat apps, emails, games or other distractions. There is no way of telling what’s keeping the shopper from completing a purchase on your store. But the one thing that you do have in your hands is to ensure that you keep distractions like price comparisons, competitor ads, adult content, third-party popups and video ads at bay and offer them a frictionless eCommerce experience with timely engagement. Not sure how you could do both?